Christmas ornament coloring is a fun activity for a winter's day. 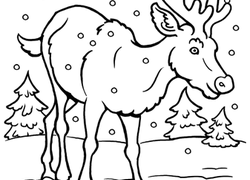 Try our Christmas ornament coloring with your child, and make a set of pretty paper ornaments. Are you hungry for some honey? Get in touch with your inner bumble bee as you color in this happy nature scene. 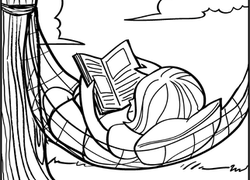 Get your child in the mood for relaxation with this reading coloring page featuring a girl curled up in her hammock with a good book. This cute reindeer is walking through a cold winter snow. Is this Rudolph or one of Rudolph's friends? 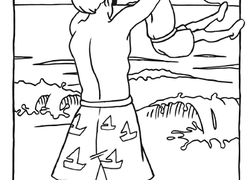 Let your child decide as he colors it however he wants! The maracas are a percussion instrument that anyone can play! 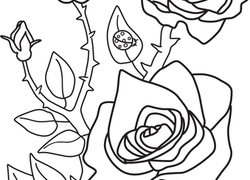 Enjoy a musical instruments coloring page with your child. 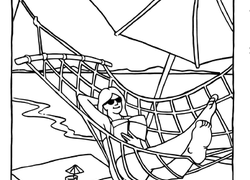 Catch some air with this cool snowboarding coloring page. 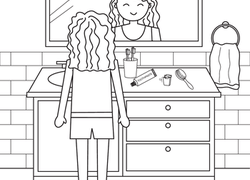 This fun coloring page, which features a smiling girl getting her toothbrush, toothpaste, and floss together. Congratulations! Your kindergartener is ready to graduate. Give him this kindergarten diploma to celebrate his accomplishments this year.